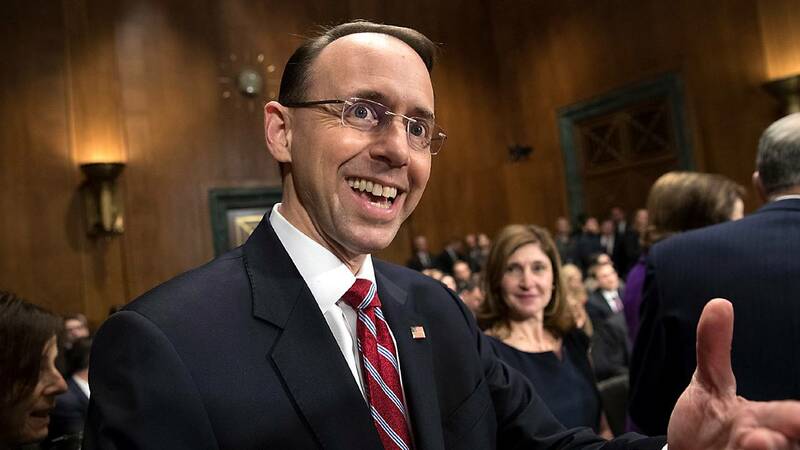 WASHINGTON (CNN) - The Washington Post reported Tuesday evening that Deputy Attorney General Rod Rosenstein attempted to convince the White House on Monday to block the public release of a House GOP memo of allegations about the FBI. People briefed on the meeting said Rosenstein warned White House chief of staff John Kelly that releasing the memo could jeopardize classified information, and that FBI Director Chris Wray joined Rosenstein in the meeting, according to the Post. The reported meeting happened before the House Intelligence Committee, in a party-line vote, moved Monday evening to release the controversial four-page memo from Intelligence Chairman Devin Nunes. A senior government official told the Post that Rosenstein was the primary person making the case to Kelly against the memo's release, with Wray also expressing his opposition to making it public. The House intelligence vote places the fate of the memo in President Donald Trump's hands, giving him five days from the vote to allow or oppose its release. The White House has said Trump will consult with his national security and legal teams before deciding whether to release it. CNN reported earlier Tuesday that Trump told aides he wants the memo alleging the FBI abused its surveillance authority released as quickly as possible, and the Post's report said Kelly told Rosenstein and Wray that Trump was inclined to release it. White House press secretary Sarah Sanders said in a statement Tuesday that Trump had not yet "seen or been briefed on the memo." Democrats were indignant after the vote Monday evening. California Rep. Adam Schiff, the top Democrat on the intelligence panel, authored a competing memo, and House Minority Leader Nancy Pelosi accused the GOP of using the Nunes memo to undermine the special counsel investigation led by former FBI Director Robert Mueller. House Speaker Paul Ryan said Tuesday he supports disclosing the document, but that the memo should be separated from the Mueller probe.